1990 plan J. King, l:4,70m TE: 3,10m déplacement 11,7t. 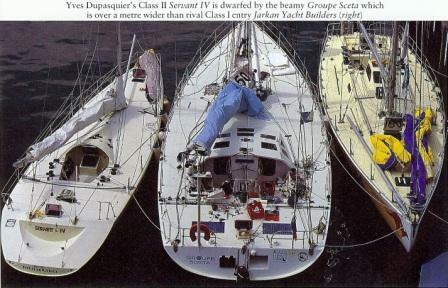 1991 Transat retour Boc: 3e/?. 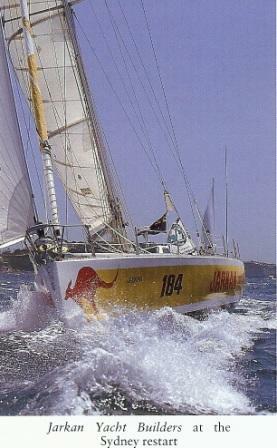 2001 Aout: A Vendre A BOC singlehanded around the world race vet. Exciting speed, easily single handed The ultimate sailing machine utilizing the latest boat building technology for the greatest possible strength at the lightest possible wieght. Designed to handle the worse conditions with optimum handling characteristics. Equipped with the best hardware for ease of sail handling. 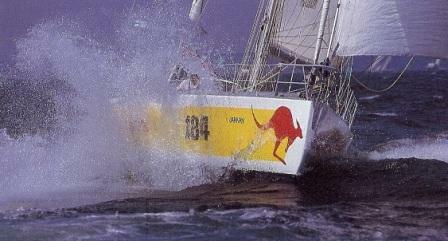 A proven veteran of sailings biggest test. Updated and modified for cruising by her present owner without sacrificing her racing qualities. Retour vers Seattle en équipage. juillet, Singlehanded Transpac: 3e/5 division F en 11j21h réél.